A selection of various texts/sentiments. 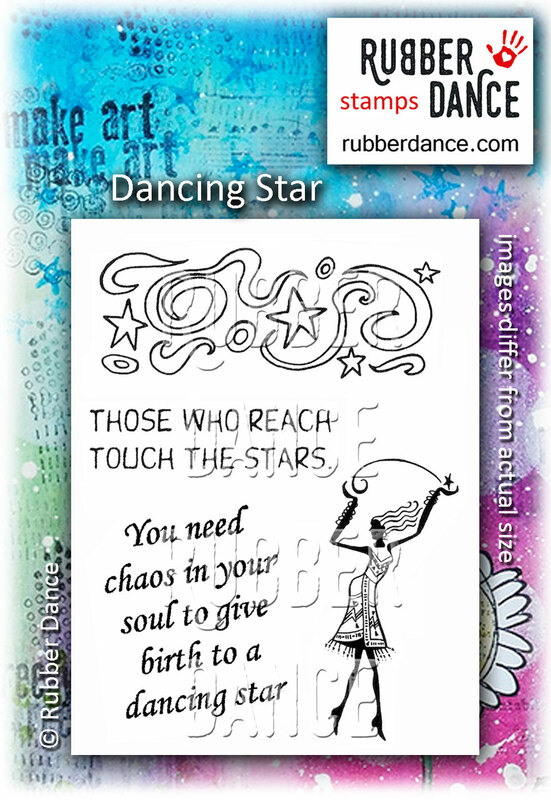 Size of star banner is about 7 x 3 cm, dancing woman is 7,5 cm tall. 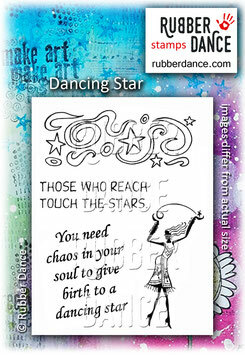 She is also available as a single stamp called Celestial Dancer #1.